Hawken the talking Wolfhound told me the other day, “Roadrunners are imaginary, like unicorns or libertarians.” I told him there was a roadrunner standing right there in the yard, and that he should chase and consume it, but he just looked at me with his derpy, “do it yourself” face. 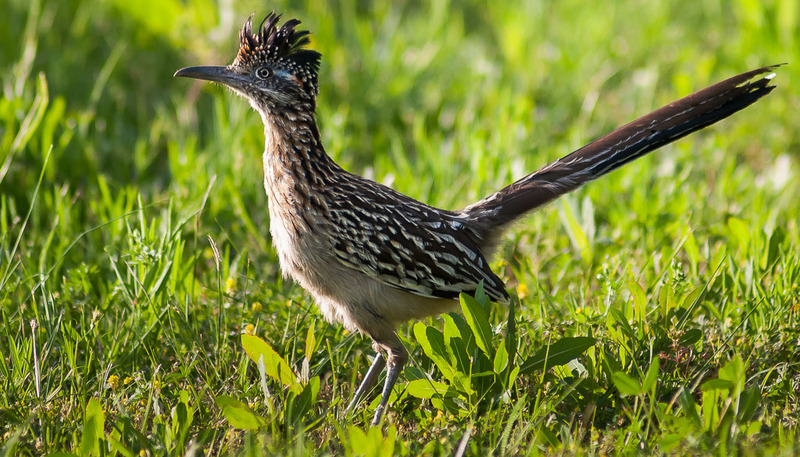 I am pleased to see roadrunners added to our bucolic menagerie. We all love the Roadrunner almost as much as W. E. Coyote. It’s a testament to our abillity to root for two opposed interests at the same time.